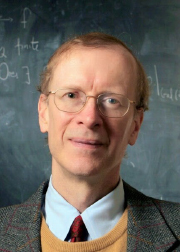 Honorary Clare Fellow Sir Andrew Wiles (Mathematics, 1974), has been appointed by Her Majesty the Queen as Oxford’s first Regius Professor of Mathematics. This occasions marks the first Regius Professorship awarded to Oxford since 1842. Sir Andrew received his B.A. at Merton College, Oxford before completing his Ph.D. at Clare. Celebrated for his proof of Fermat’s Last Theorem, Sir Andrew is one of the world’s most well-known mathematicians. In 2016 he was awarded the highest honour in mathematics, the Abel Prize, followed by the Royal Society’s oldest and most prestigious award, the Copley medal, in 2017. The rare title was granted as part of the Queen’s 90th birthday celebrations. Sir Andrew’s father, the Rev Maurice Wiles, was a Dean and Fellow of Clare as well as Regius Professor of Divinity at Oxford. For further details on the announcement of Sir Andrew’s appointment, click here.